Seabreeze Resort has a recipe for relaxation, “when hungry you eat, when thirsty you drink, when tired you sleep and be pampered at every opportunity”. 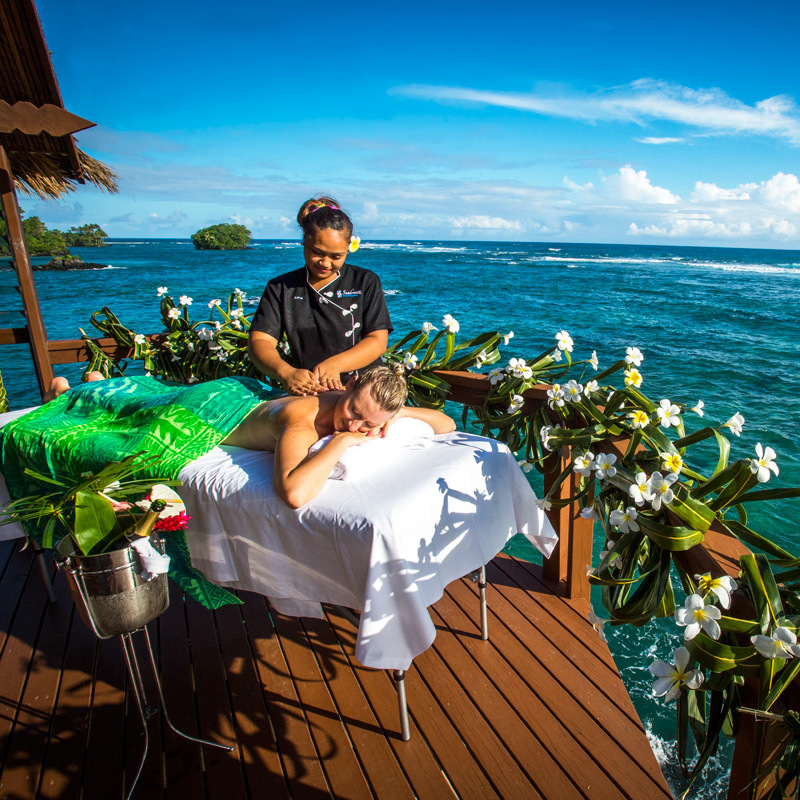 From the privacy of your own pavilion or courtyard, where only the sounds of the ocean and the rustle of palm fronds in the breeze can be heard, enjoy the most indulgent pampering experiences with a range of nurturing massages, facials, manicures and pedicures. 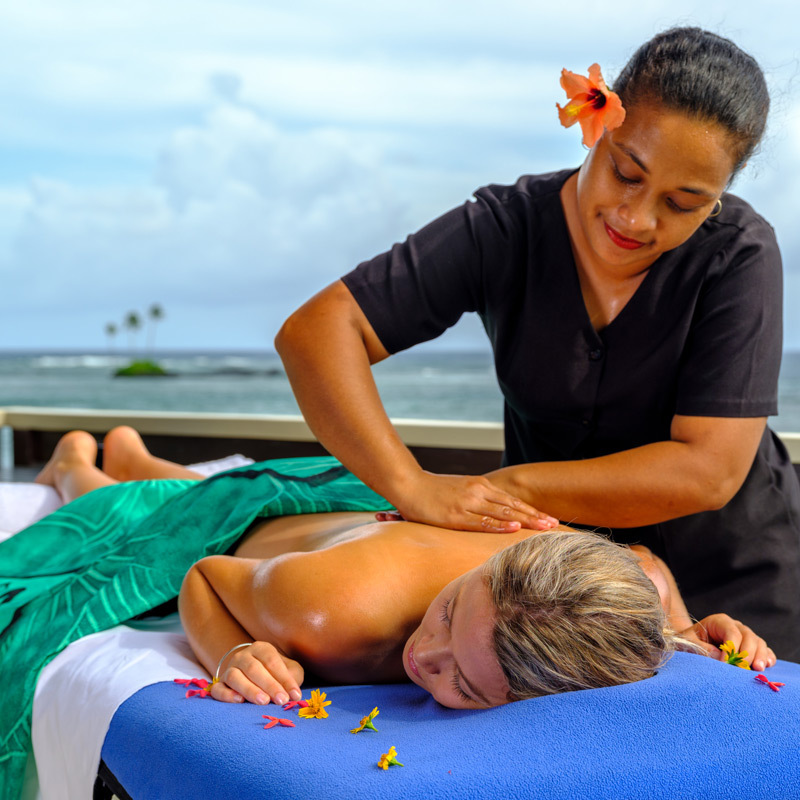 For centuries, Samoan women have utilized a mix of natural herbal recipes to maintain health and enhance natural beauty. 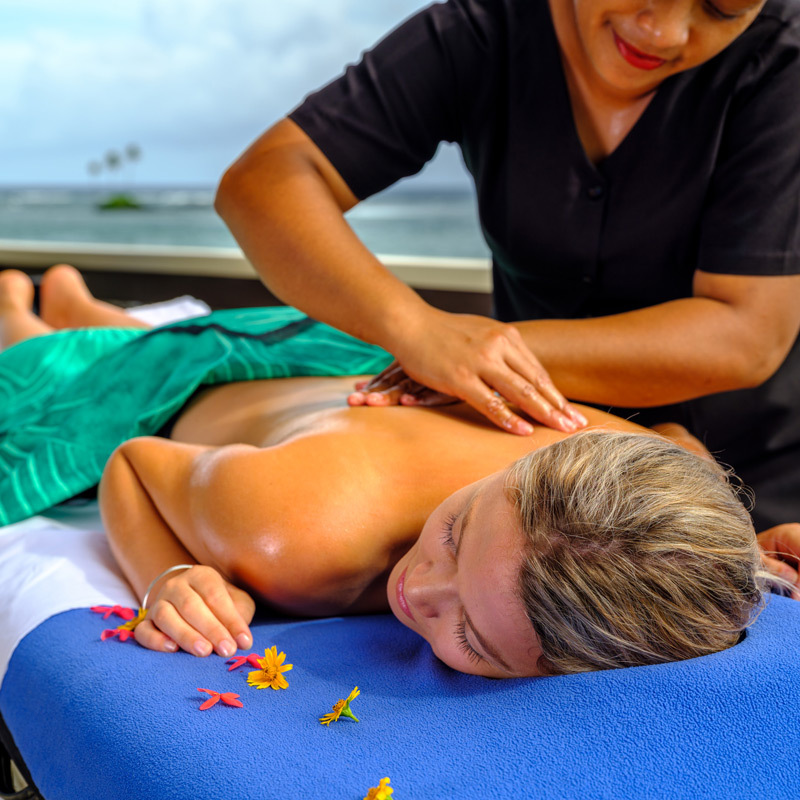 Seabreeze offers a selection of full body massages that will sooth away the pressures of the western world using natural local produce, rejuvenating the skin, invigorating the body and revitalizing the soul. Rejuvenate and refresh your skin with a variety of facial treatments that use natural organic plants, fruits and herbs that gently cleanse, exfoliate, and provide much needed nourishment to the skin.